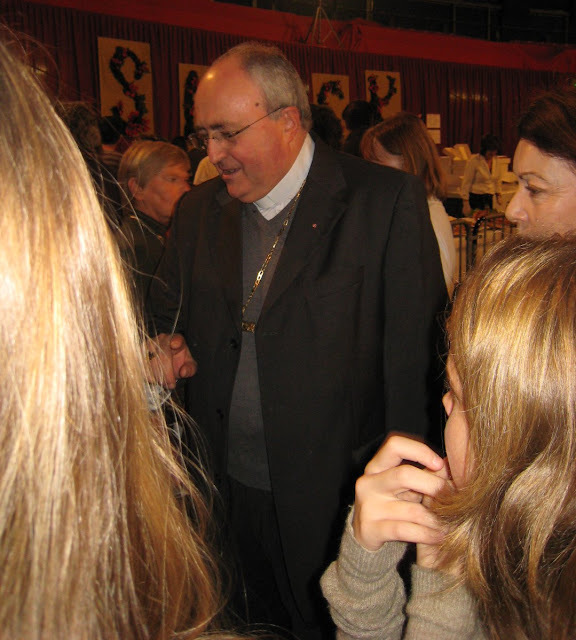 Meet His Excellency Monsignor Bernard Barsi, Archbishop of Monaco. He was wandering around the Kermesse at the same time as Prince Albert and his entourage. On November 19th, 2005, coinciding with Monaco's National Day, His Serene Highness Prince Albert II was formally enthroned as Sovereign. An emotional Mass was held in the 19th century Cathedral, conducted by Monsignor Barsi and attended by more than 800 invited guests, including H.R.H.the Princess of Hanover and H.S.H. Princess Stephanie and their families. "By rising to the Grimaldi throne, Prince Albert finds His place in the continuity of this dynasty and with the help fo God, carries forward the destiny of the Principality dating back more than seven centuries." Thanks for answering my questions. I'm going to email you privately about the dog shows. What a cool series this had been. Very engaging. I am learning so much!